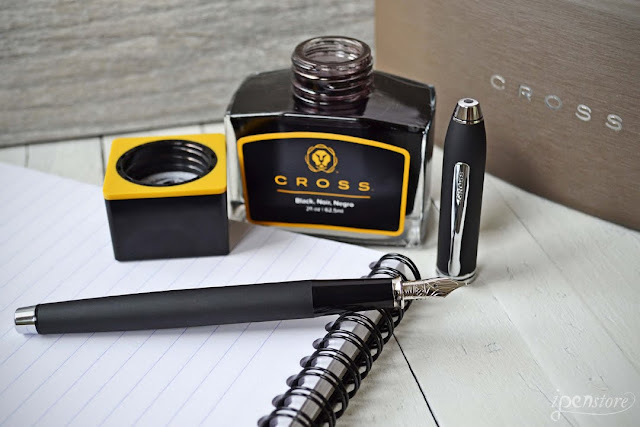 We bought all of the remaining stock of the Cross Townsend in the black matte smooth touch finish at an incredible price and we are happy to pass the savings to our customers. We are selling them for only $90- they regularly sell for $220. 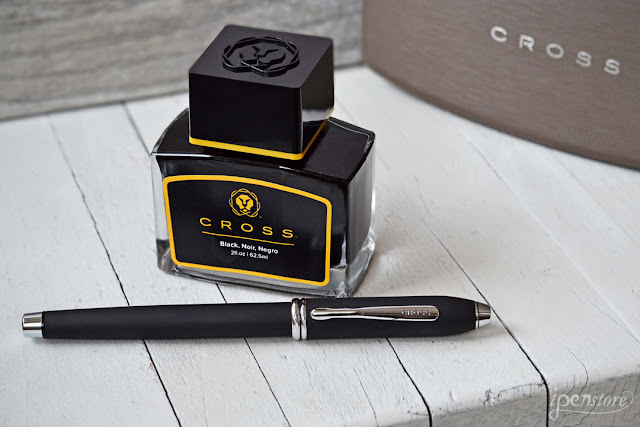 Cross Townsend fountain pen with multi-layered matte finish black lacquer and brilliant chrome plated trim. Inspired by the graceful lines of the 1930's Art Deco design, the pen has a classic elegance to it. The Townsend is also famous for being the pen that several US Presidents have used to sign documents. 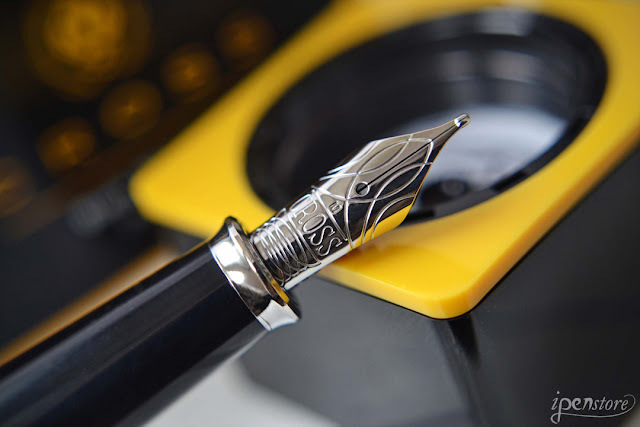 This model Townsend features a stainless steel nib. 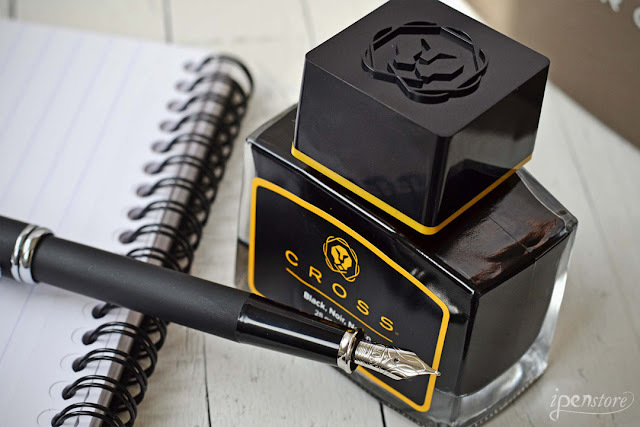 It includes two black fountain pen cartridges that are as neat and easy to use as a ballpoint or rollerball refill. Additional fountain pen cartridges and optional converter for bottled ink are available in our store. 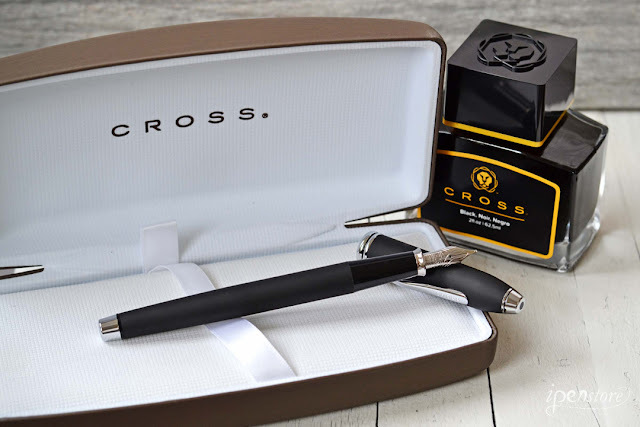 This pen comes in an attractive box that makes a great presentation as a gift. The smooth touch matte finish has a very nice feel to it- very soft to the touch. The grip section is shiny which is a nice contrast to the matte. The weight of the pen is comfortable both posted and unposted and it is nicely balanced for writing. The stainless steel nib is only available in medium. The nib is very smooth and has good flow. The cap goes on tightly preventing the nib from ever drying out. You won't have any issues with the ink starting or skipping, even after not using it for a long period of time. Click on any of the photos in this post to get this retired fountain pen while you still can!